Rayman Legends just came out with a nifty app dedicated to feeding the appetite of the competitive player. Now you have the option of challenging players all around the world for the highest scores as well as beating your own high scores. You can play using several different heroes in daily and weekly challenges with the option of unlocking more. Included in these added features are maps like the exclusive Murfy’s Dungeon! 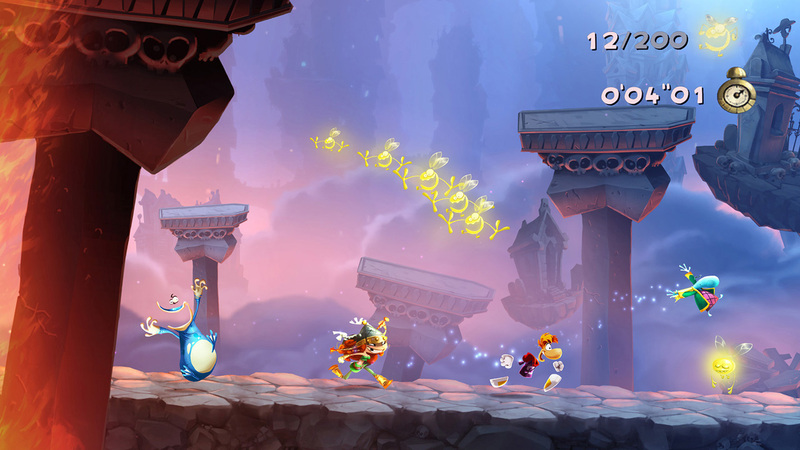 I personally have not played much of Rayman on the Wii U as of yet but I remember enjoying the demo on a giant TV in Best Buy and I thoroughly enjoyed playing Rayman on the old PC version when I was a kid. Looking at the new dungeons and challenges are making my curiosity spike even more and I think I might actually get this game now that the new App is available.